McKee's 37 N-914 Rinseless Wash 128 oz. Single product replaces 4 dedicated cleaners! There's a reason you carefully selected a certain wax, sealant, or coating for your vehicle: longevity, ease of application, and the way it makes your paint look and feel. 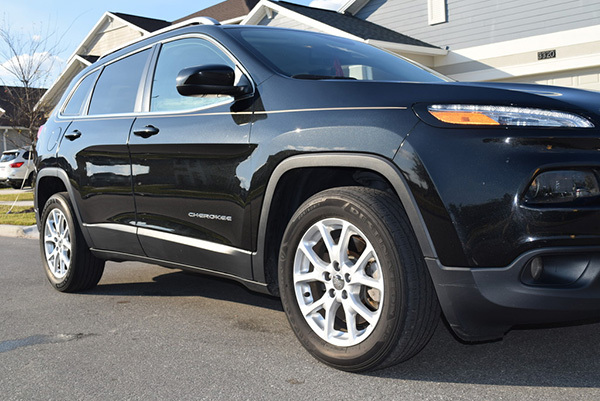 The last attribute is arguably the most important, which is why we developed a 4-in-1 rinseless wash and waterless wash that does not alter the unique look that your wax, sealant, or coating exhibits on your perfectly detailed vehicle. That product is McKee's 37 N-914 Rinseless Wash.
McKee's 37 N-914 Rinseless Wash is formulated using a highly-advanced surfactant that does one thing and one thing only: clean your car without leaving a film behind that alters the look or water beading and sheeting characteristics of your wax, sealant, or coating. Safely remove dirt and grime in the convenience of your driveway or apartment complex parking lot without dragging out the hose. 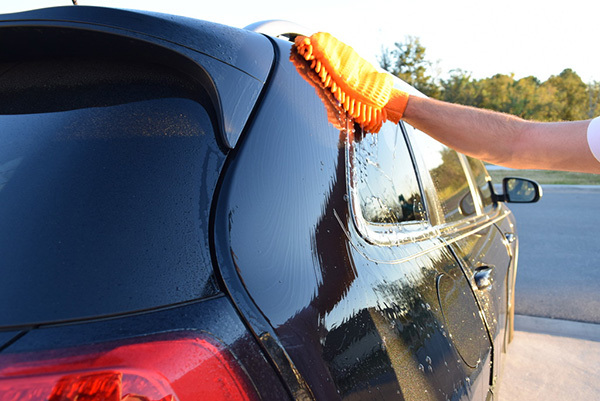 McKee's 37 N-914 Rinseless Wash enables you to wash your car the environmentally-friendly way, using 2 gallons or less! Rinseless Wash: McKee's 37 N-914 Rinseless Wash primarily application is a rinseless wash, where it can be diluted 1 ounce per 256 ounces (2 gallons) of water. A rinseless wash is the most effective replacement for a traditional wash where a hose is required. The advantage of a rinseless wash is the fact that you save time AND water; no hose is required! Simply fill a wash bucket with 2 gallons of water and add an ounce of N-914. Wash one panel at a time, then immediately dry it. 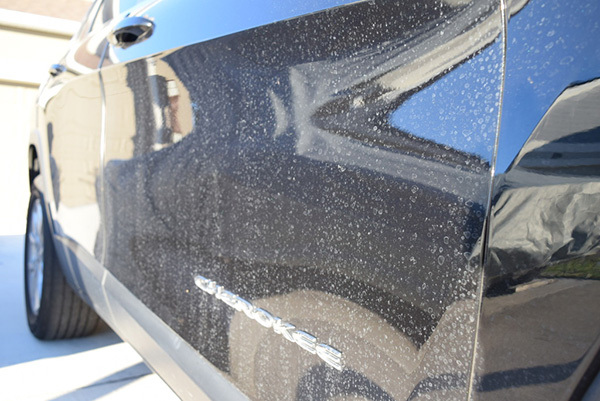 You'll be able to wash your vehicle in 15 minutes or less, without scratching it! 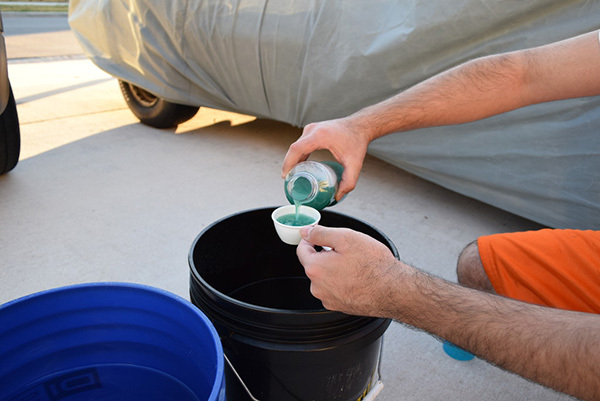 A rinseless wash is perfect if you live in an area with water restrictions, or if you're looking for a quick and effective way to wash your vehicle in your garage during the harsh winter months. Waterless Wash: Dilute 1 ounce per 128 ounces (1 gallon) of water to use as a waterless wash. Working one panel at a time, spray a liberal amount of diluted N-914 directly onto the panel and wipe clean using a soft microfiber towel. Switch towels often as you work your way around the entire vehicle. Clay Lubricant: Are you sick and tired of purchasing expensive clay lubricants that cannot be diluted? McKee's 37 N-914 is the solution! Dilute 1 ounce per 128 ounces (1 gallon) of water to use as a super slick clay lubricant. It's a fantastic value! 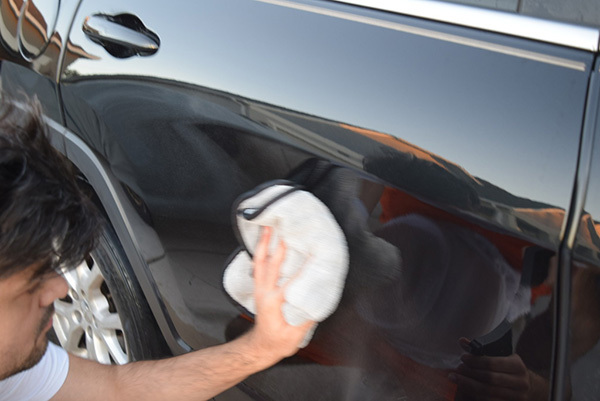 Paint Prep: It's imperative that you remove polishing oils before applying a paint coating. McKee's 37 N-914, when diluted 1 ounce per 8 ounces of water, is a highly effective paint prep spray that removes polishing oils so your paint coating will properly adhere to the surface. Why fork over big bucks for multiple products when McKee’s 37 N-914 is all you need? Fantastic Wash 5 For someone looking for a do it all product then this is it. Works great as a rinseless wash, a waterless wash and clay lube. This is perfect for someone looking for a rinseless wash that leaves nothing behind but a clean surface. Top notch product. Best yet 5 I have been on a several year quest to find the perfect rinseless wash. The first one I tried was QEW, then I tried ONR, then a few others. This one is easily my favorite. McKee's 37 N-914 Rinseless Wash Kit Mega Value!